This is our first ever family ski holiday trip. We considered going to Thredbo or Perisher back when we were living in Australia but it was 6,000 AUD (4,300 euros) a week with little guarantee of snow, smaller slopes than in Europe and the kids where too young to enjoy any of it. 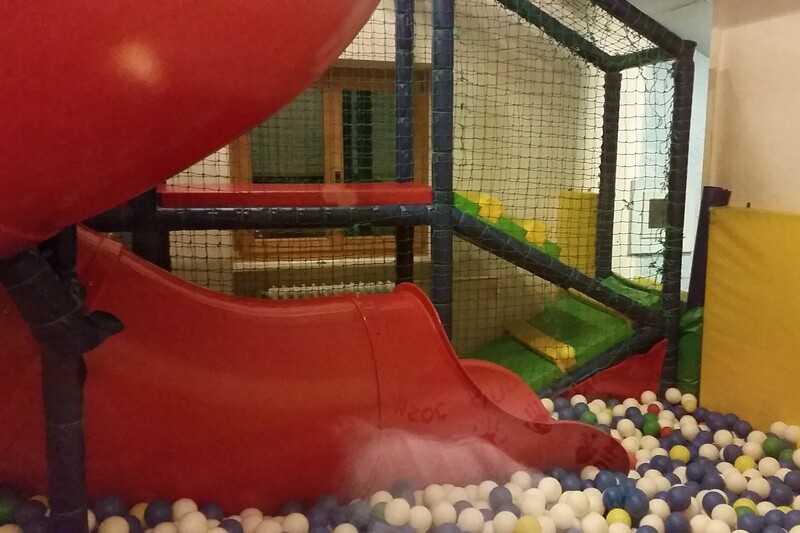 Kinderhotel is a type if hotel around Austria, Switzerland and German that provide a kids clubs and kids facilities both for the summer and winter season. Packages usually include nights, half board (dinners) and kids club services where your children are looked after from 9am to 9pm. That was just perfect for us because we wanted our 6 year old to start ski classes and we were not too sure what to do with our 3.5 year old. Why did we choose Muchetta? 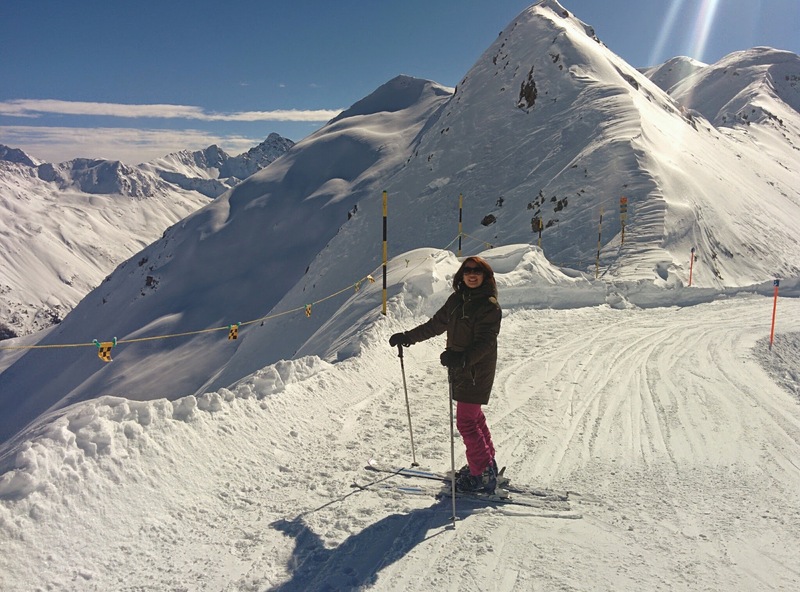 By the time we decided to make bookings for the last week of February, it was a little late, especially as it had started to snow and people had more confident in the level of snow at ski resorts. We had a choice between Austrian Alpenrose but it was 5,000 CHF (5,000 euros) for the four of us to stay 7 days and 6 nights, Post Hotel in Austria which was more reasonable but 4.5 hours drive from Zürich and Muchetta in Davos for 2,300 CHF and only 2 hours drive from home. It turned to be a great choice because we got stuck for 7 hours in traffic in France a couple of days prior so we were glad the journey would be fairly short. 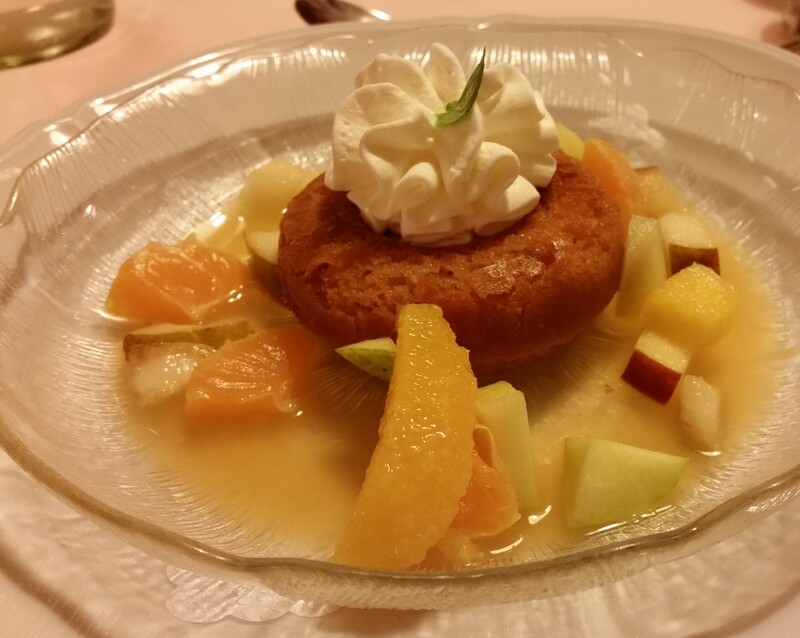 The package was quite good and the additional lunch was only 10 CHF for children and 15 CHF per adult including salad buffet and warm food buffet and dessert of the day! At the end of the day we paid an extra 300 CHF for kids daily lunches, one lunch for both of us, beers and pre dinner drinks, 15 min bubble bath. Our apartment was very comfortable with more than 45 square meters including a bedroom, a living room with two leather sofas, one dining table and four chairs, 2 fold down beds for the kids and a kitchen with fridge, sink and oven. Plenty of storage so you don’t have your suitcases laying around. 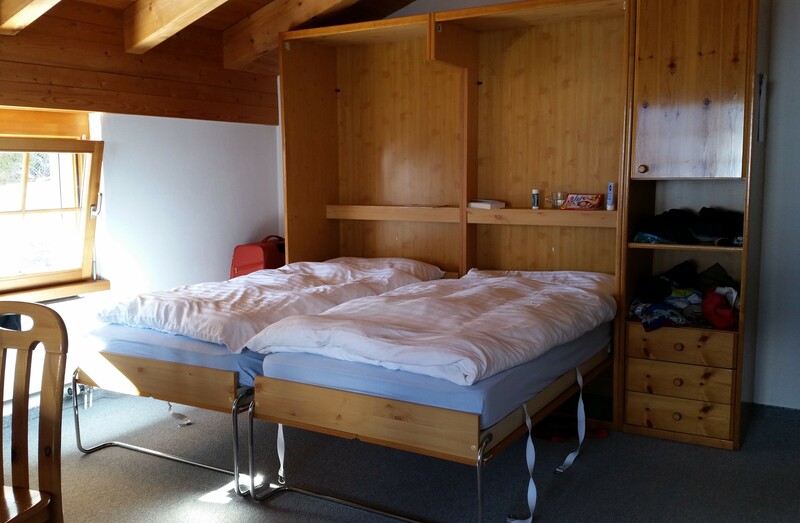 Below is the bedroom, simple but with a view on the mountain and massive wardrobe. What with the double quilt though? 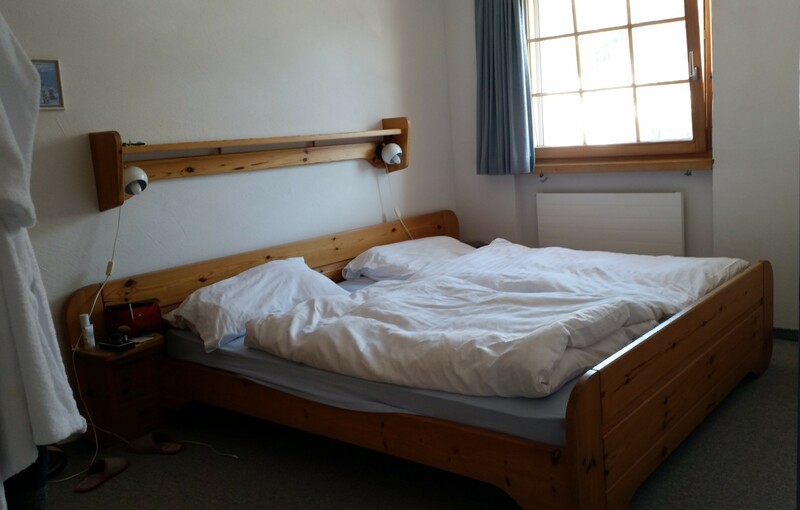 Every time we’ve been renting a room with double bed in Switzerland, they give you two separate quilts. How does a couple sleep together? If you know where it’s coming from or some insight on the matter please let me know! We experienced that for the first time in Sweden. However our room (number 233) was the furthest from reception, located in a building extension that you could access either through a short path outside in the snow or indoors underground through connecting car parks. As the room was at the very end of the building, we had views facing 2 ways: the balcony looking over the mountain across and the window looking over this side of the mountain. No internet in our room. What??? No Spotify, no Netflix, no help from friends with Candy Crush??? 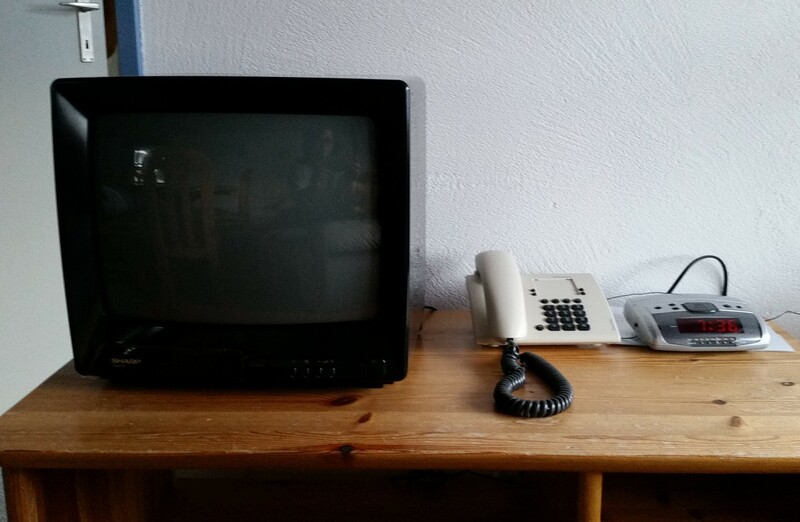 There was a TV though. A cathodic tube one with 3 radio stations including Swiss Jazz, and 4 TV programmes including Kika, the kids cartoon program in German. Perfect for relaxation and learning German! We had to go to the lobby to get some Wifi so we structured our day so that between 9 and 9.30am we’d do stuff on the Internet and then some bits and pieces in the afternoon. Where you got the best connexion was on the ski slopes!!! Tip! For toilets with Internet (some people got that habit…) go to the restaurant’s toilet on the first floor, you can get some signal. There’s a nice sauna, steam room and 2 hydro jet showers.There is no swimming pool. That has to be made clear. There’s only a 30 cm deep waddling pool for babies with water springs and plastic toys and balls for them to play. If you come back from skiing a bit earlier, you can have a very relaxing experience, all by yourself before 4pm. 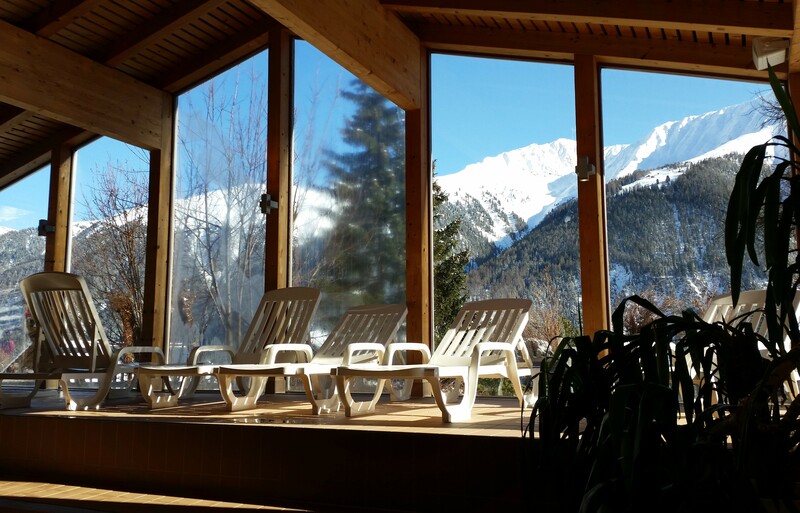 Simply ring reception on your way back from the slopes as it takes 30 hour for the sauna and steam room to heat up. Peak hour for the swimming area is between 4.30pm and 5.30pm. Think screaming kids everywhere and no lounge chair available. Buffet dinner starts at 6pm so everyone leaves a bit before that. However kids like it when they have friends to play with so it’s not that bad. We once stayed there as a family between 6 and 6.45pm, it was just perfect. Dinner buffet is open til 8pm so we didn’t miss out. In fact late dinner was quieter too. On arrival, when we showed the Kinderparadies floor to the kids, my 6 year old couldn’t wait to be the next day to enjoy it all to the max. What both kids loved and used the most were the ball pool. They spent hours there. There is also a Lego room, a secret room with an Xbox, a big arts and craft room with plenty of material and natural light. 2-3pm outdoors playing: play ground, sledging, go for a walk. The carers would bring a stroller for kids who don’t walk or for my 3.5 year old son who needed an afternoon nap. 6-6.30pm dinner. We can choose to let the kids have dinner among themselves then go back to play. We soon figured out that it was better to have them dine with us so we could make sure they eat a bit more, not just what looks appealing to them, but also we could hear them tell us about their day. Having our child away from 9am to 9pm was a bit too much for us. He was keen and really excited and perhaps experienced a lot of freedom for the first time but we still felt we needed spend some time together everyday. 9pm Kinderparadies closes and kids are covered in sweat from running and climbing all day. 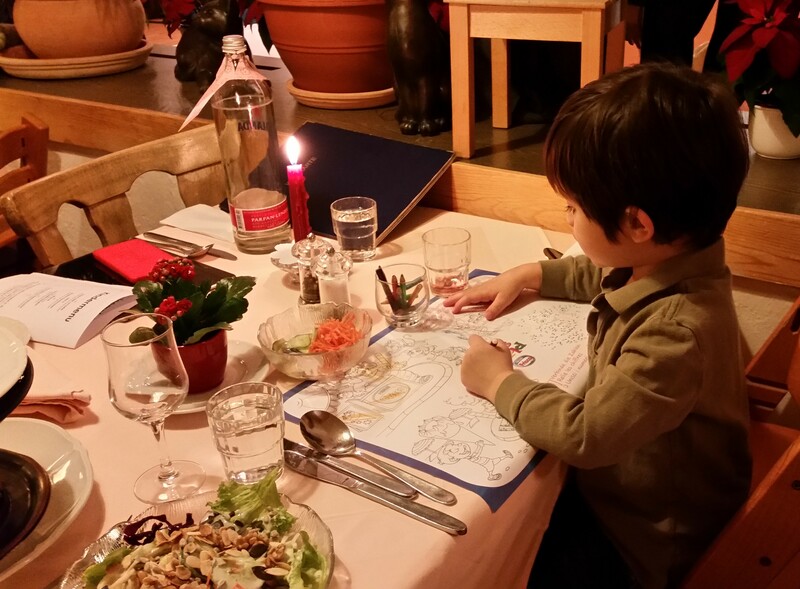 So our eldest son loved it, made friends from this side of Europe: a Swiss, a Dutch, some French living in Germany. He could get buy by speaking English to the carer and using her to translate to the others. Also you realise how easy it is at that age to play and make yourself understood with minimum vocabulary. It’s all action. His little brother was less keen to go there every morning. Probably his clingy nature. He just wants his parents. He was lucky he could go to the same club as his brother. There is a separate nursery for 0 to 3 years old. We were worried about the quality of the food but it was decent. Two year old reviews were pretty bad about the food but it seems that management did something about it. The choice was not amazing, every night you could pick between an entree or the salad buffet, a soup or the juice of the day, the main meal or a vegetarian one, cheese platter or sweet dessert. It’s was still pretty decent, no complain, with fondue or raclette night on Wednesday. Our youngest son was happy to have ice cream for dessert every night. Breakfast was very nice too with a wide range of yoghurt, muesli and cereals, ham and local cheeses, fruits, soft boiled or hard boiled eggs, croissants. The highlight was their bread. It was fresh and moist and tasty. Looks like they bake it fresh in house. In fact one day the kids activity was to bake their own brioche in the hotel’s kitchen with the hotel’s chef. How cool and creative is that? TIP: you can start a big bottle of mineral water or wine and finish it over the next few days. Even when you leave your kids to have dinner with the Kids club, don’t expect to have a romantic meal. There’s candle light but there are also lots of small children who will come and blow if off, chasing each other in the aisles, playing with doors or rolling on the soft play area in one corner of the room. And when those kids are not yours it’s getting on your nerves way faster. You can enroll children to the ski school at the hotel reception but at some point you have to go down the village (10 min walk) to pay directly at the Swiss Ski School. Class usually runs Monday to Friday with a test on the last day to get your medal. It was 170 CHF per child (including medal!). The little brother didn’t make it through the first day, it was quite expected so we didn’t have to pay for him. Their practice slope is really close to the hotel and you drive through it on your way to adults slope so we had a sneak peak at what they were doing a couple of times. I was a bit worried because on day 2, our son said he hated ski school. Then we were able to pinpoint the pain point (pun intended) and it was mainly about the lift rope. It was not a magic carpet but a rope you had to hold so it would pull you up the slope. He tried harder and we were very proud as our son did quite well in the end and arrived first at the race on the day of the test. He got a medal but on his small ski book it says he still have to practice a bit more to be “Blue Prince” level. For adults, the closest station is Rinehorn, 10 minutes away. Then you can drive further to Davos where we tried Parsenn, the biggest station but not the most enjoyable one (read here why I hated Parsenn so much) and Jakobshorn on the most beautiful and sunny day of the week. That one was our favorite as it’s all going down, no need to climb/ walk back up any hill. TIP: We had originally planned to catch the complimentary local bus. But there’s only a bus every hour and you have to walk 200 meters with your ski boots and carrying your skis. We ended up driving and were happy about that choice. There was plenty of parking available and 5CHF parking fee is definitely worth the 200 m walk especially when it’s uphill on the way back as you are exhausted and all you want to do is to take those boots off!!! What to wear in a Kinderhotel? No, you don’t wear your ski gear when you’re indoors, please! Not just for aesthetics reasons but also for practical ones: it’s pretty warm indoors so I was too warm with a jumper and Ugg boots. Jeans (or trendy tracksuit/lounge pants), flat shoes (no socks) and a long sleeve t-shirt or a checker shirt is fine for breakfast and dinner. The hotel provides bathrobes for adults and for kids, that was a nice surprise. For kids, (long or short sleeve) polo shirt (call me a T-shirt snob) and jeans is all you need for the kids club as they sweat a lot playing in the ball pool. 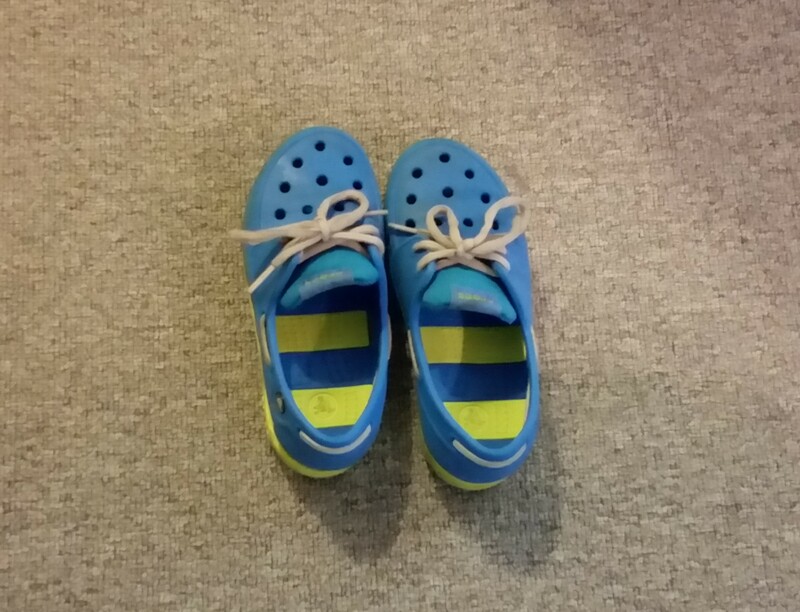 Crocs (and nicer versions of those for older kids) is perfect as they have to stay bare foot in the play areas. Then bring their thermals, fleece jumper, ski socks and pants, jacket hat and gloves, helmets and goggles as they’ll go skiing in the morning and go play outside (walk, playground or sledging) in the afternoon. The staff will help them get dressed and recommend they wear their ski pants on top of their current pants. Size: unlike a ClubMed, there are only 30 or 40 rooms so you don’t get lost between buildings or in the crowd. 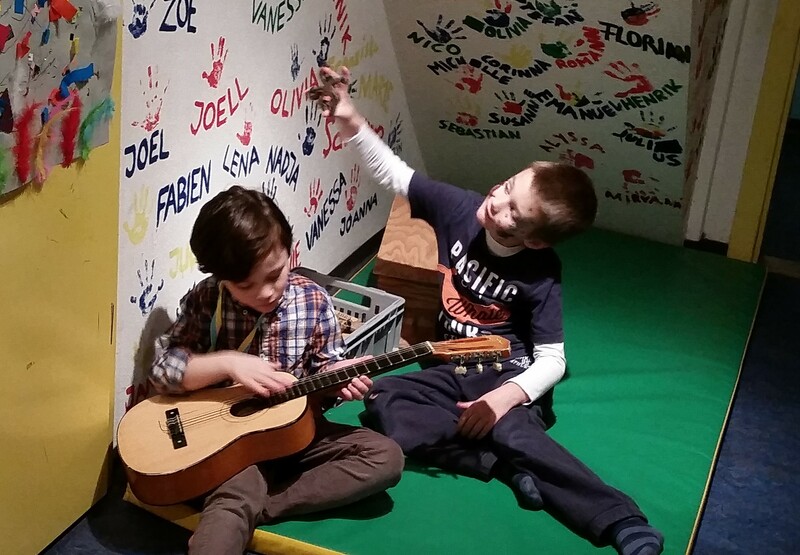 We were comfortable to let our kids run and go to the Kindersparadies on the 4th floor by themselves, or with their new friends. View: unblocked view over the mountains with its changing colors. Location: distance to Zurich is a mere 2 hour drive. We could go for a week end! 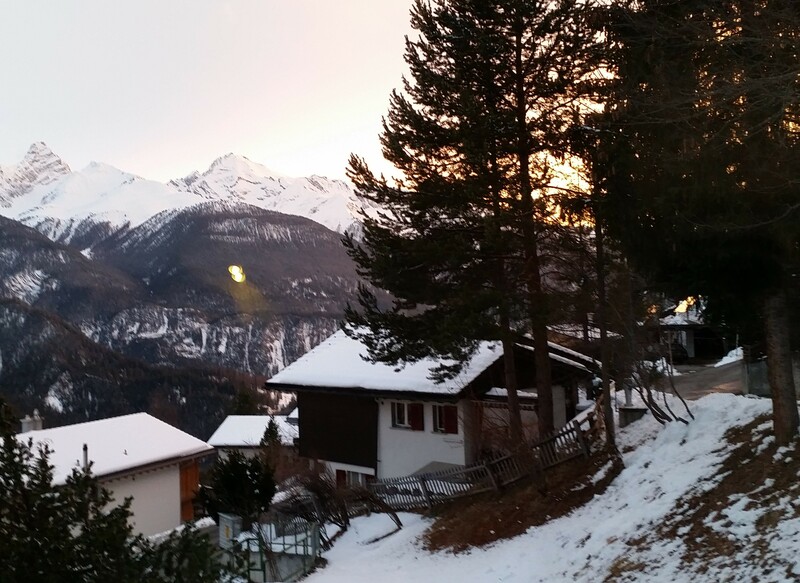 It’s 20 minutes from Davos with its great boutiques, hospital, pretty river. It’s a small town rather than a ski resort with many luxury hotels and a couple of train stations too. No Internet access from our room. So I had to play Candy crunch offline and blog offline, boooh! I should have brought my Kindle (currently reading Third culture kid ). But you know, I survived so I’m sure you would too. My husband had an interview scheduled through skype and the hotel owners provided him with a a closed office room he could use so he wouldn’t be interrupted. Two buildings: Our room was in a separate building. Either you have to walk 20 meter outside in the snow or go through the garage if you’re in your bathrobe trying to reach the wellness area. No proper swimming pool for bigger kids or adults but then we could easily do without as one of us had to stay with our 3 year old in the waddling pool anyway. Car park fee: 10 CHF per day for under cover parking. We decided to use it after the 3rd day as we didn’t want our battery to go down (our car is a hybrid one) and it we decided to drive to the slopes so it was more convenient to load your ski boots on and off everyday. The decor: the main decoration feature is hand prints from kids back from 2002. Some illustrations are even dated from 1988. Not fancy. TIP: bring your own bath products including bath salt or fizzy stuff as the bath tub is a decent size and quite comfy. I’m sure you have plenty left over from other hotels you’ve visited (and perhaps stole from 😉 ) so now is the time to use it! Definitely. We have fond memories of the place although, without wanting to sound high maintenance, we were used to much more luxurious places. 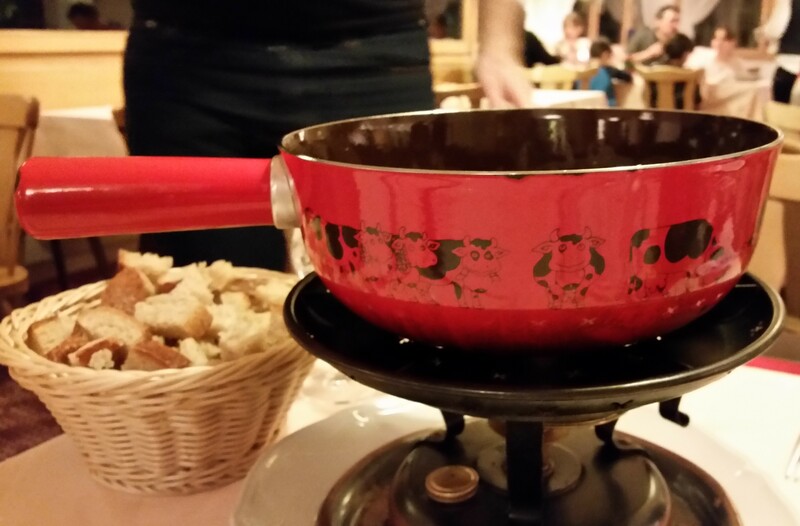 If we get discounts to Alpenrosen, we’d try it but Muchetta was amazing value and we could make do without the fluff. At the end of the day all that matters is the ski and the kids club to make sure everyone is happy. Oh and the food was ok. Sauna and steam rooms where fantastic extras after a cold hard day skiing.